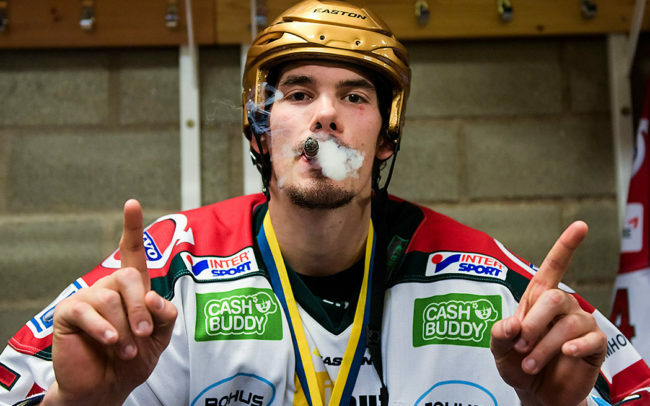 This ice hockey season has been different for me. 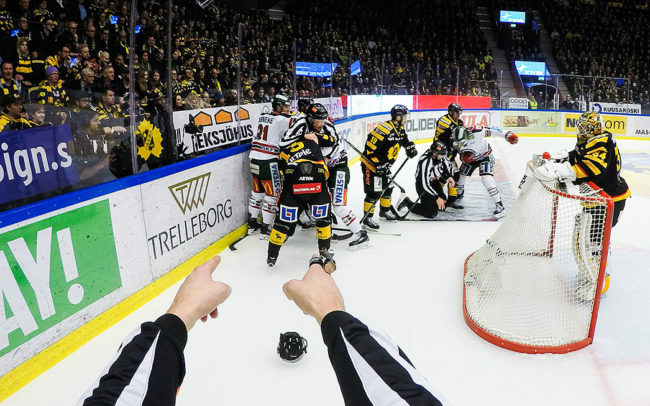 I have covered the World Juniors Championship, NHL and AHL hockey, but not a single game during the regular season of the Swedish Hockey League. This has actually never happened before during my career. 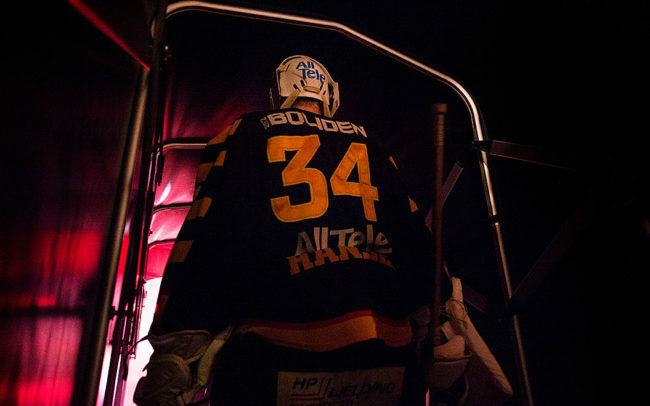 I have been to busy covering other events. 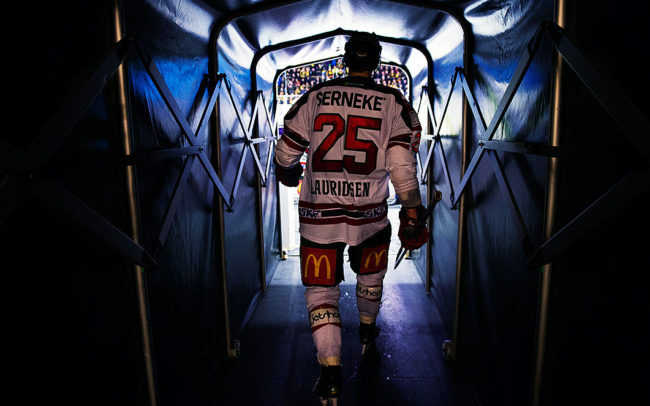 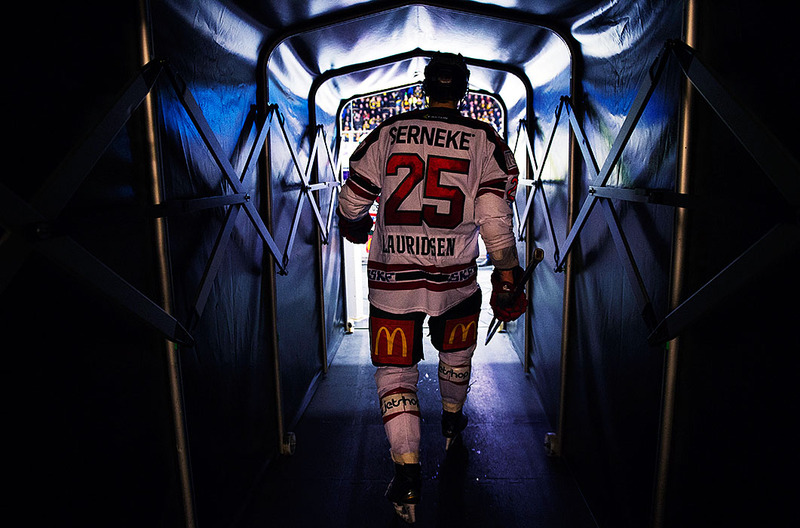 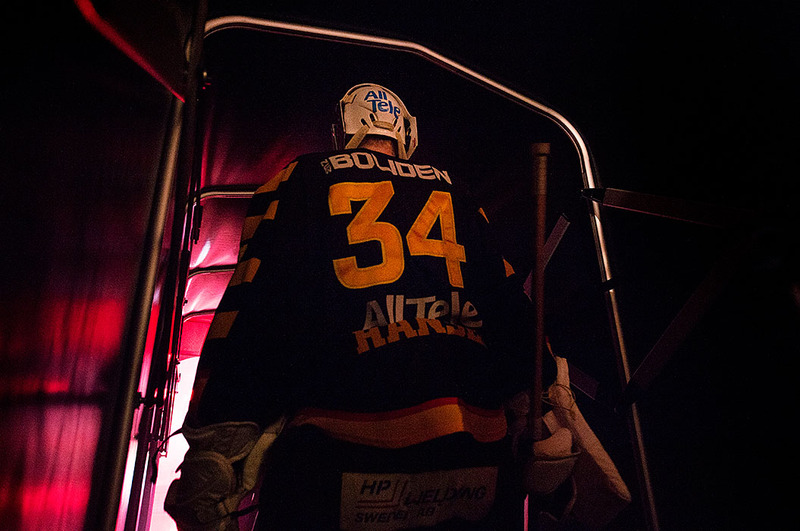 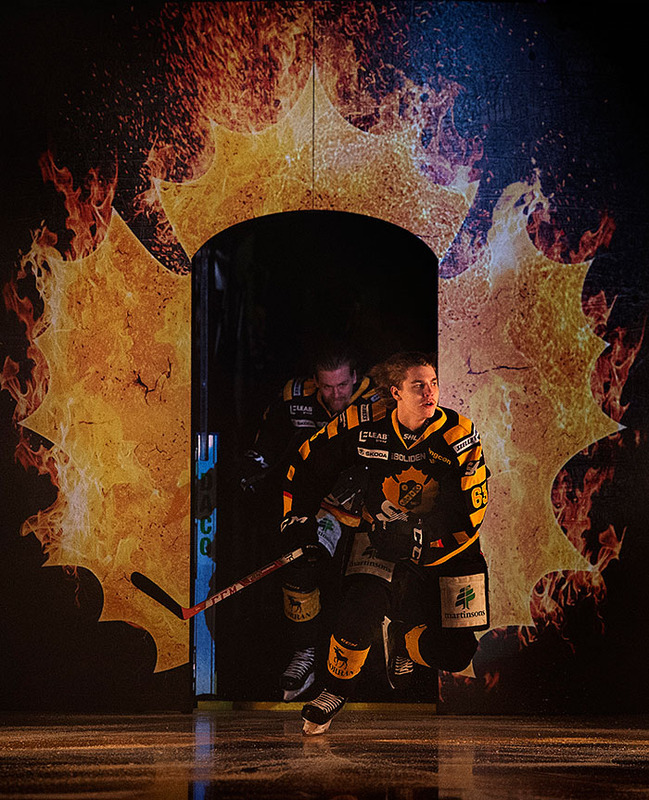 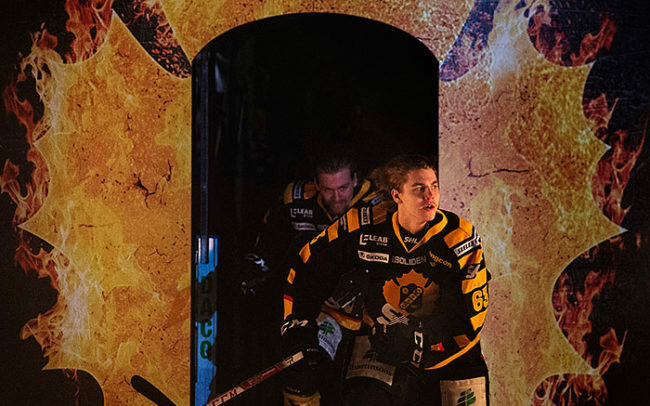 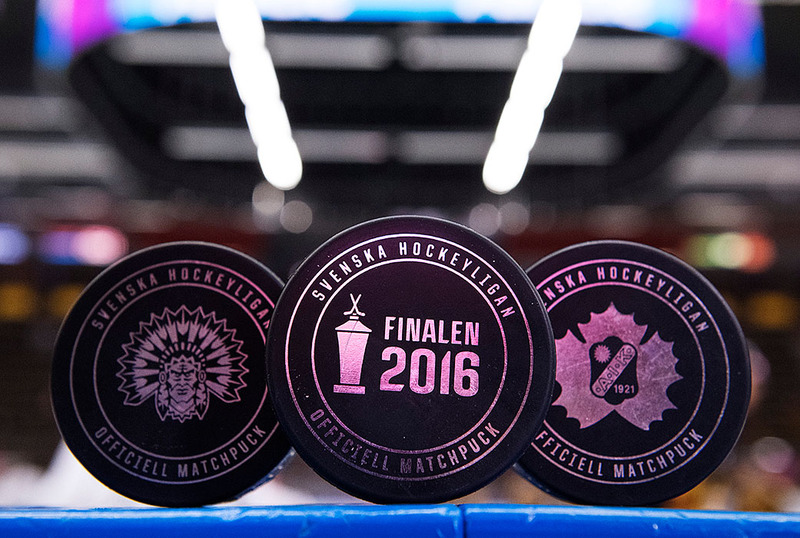 But so came the day for the last part of the long season: the SHL finals. 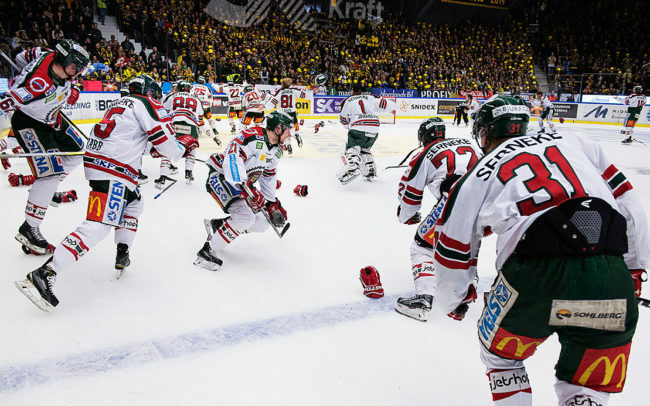 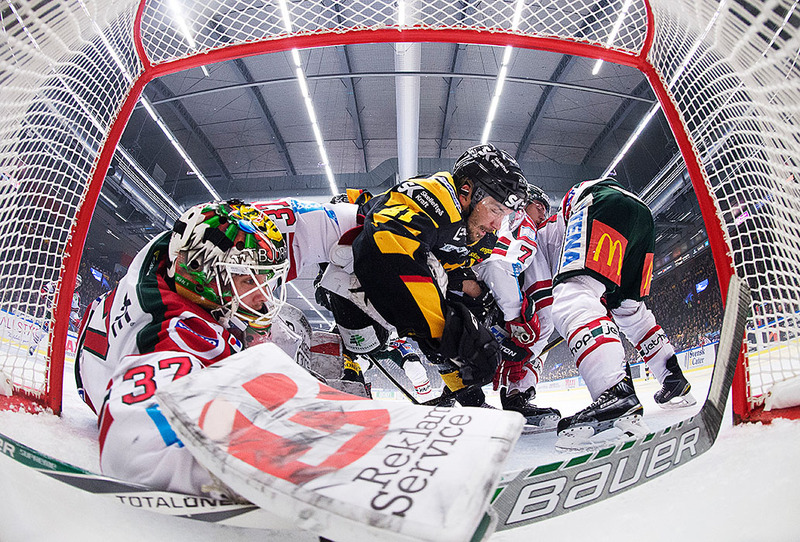 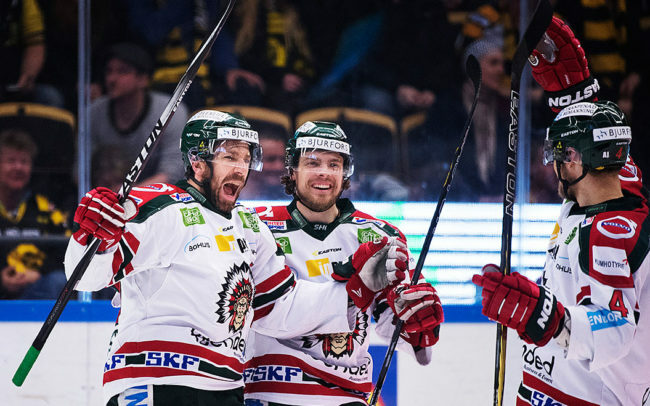 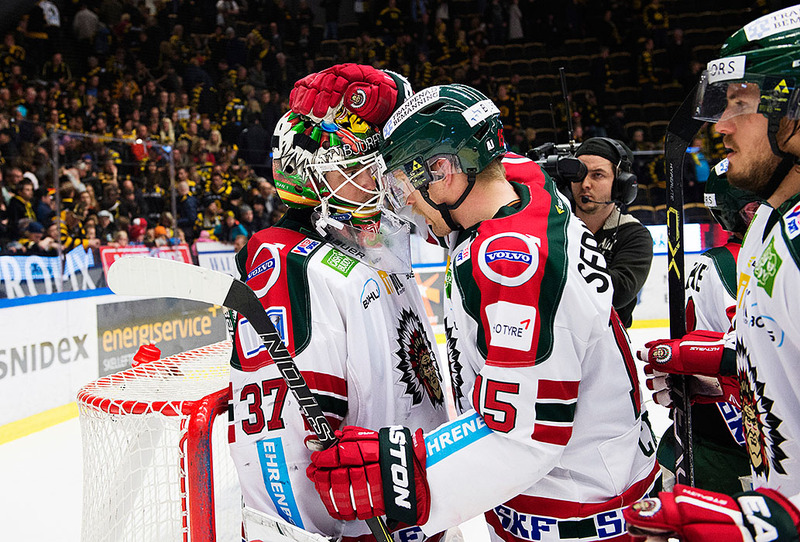 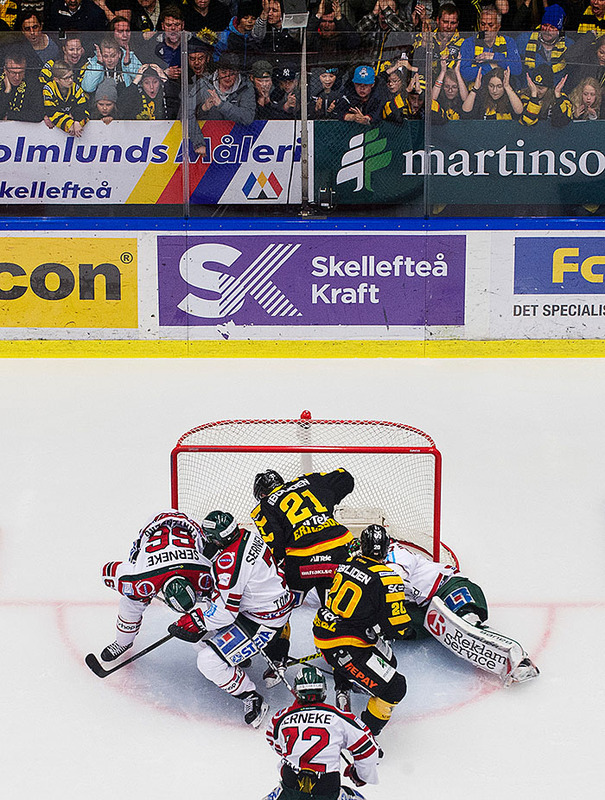 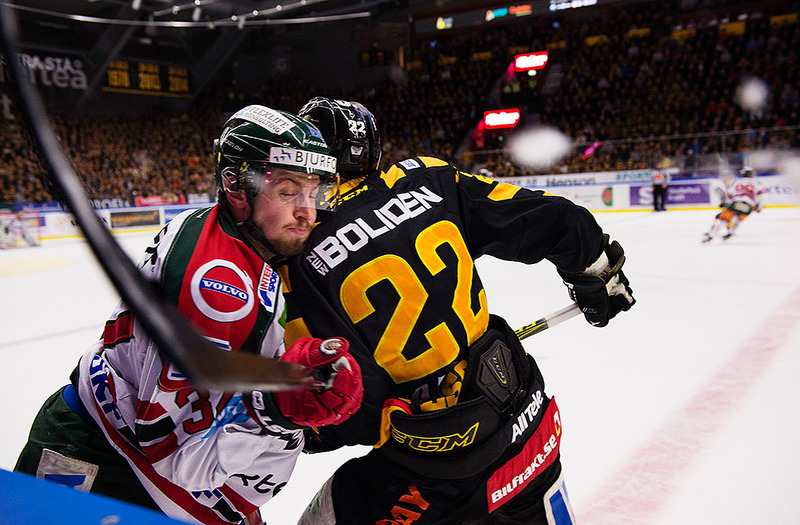 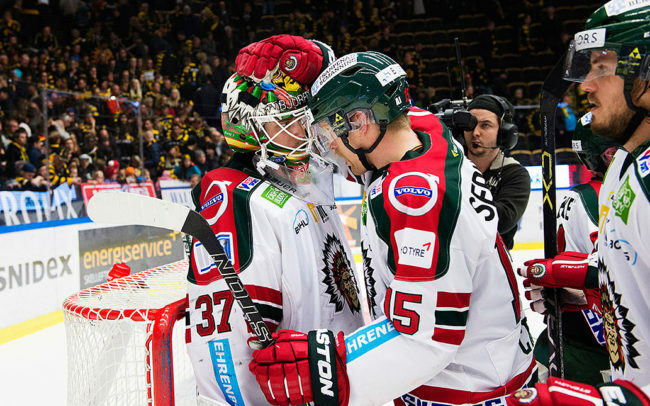 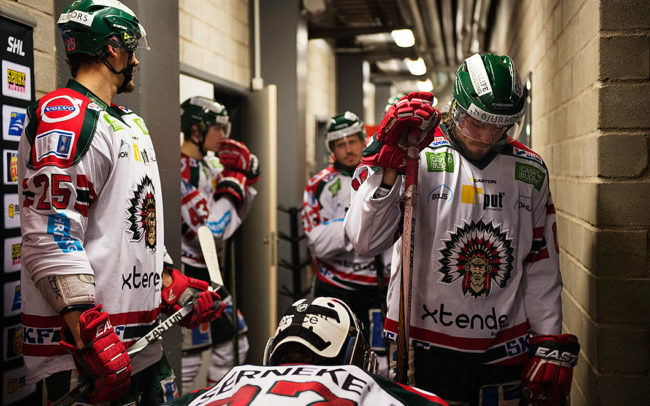 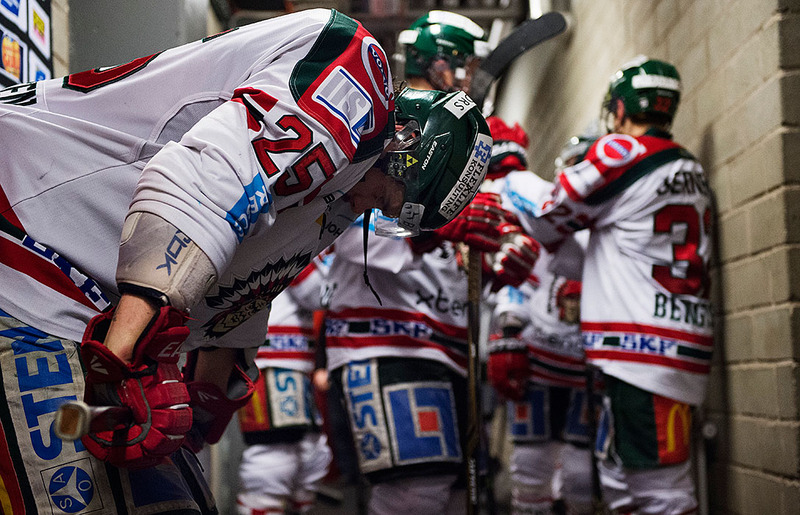 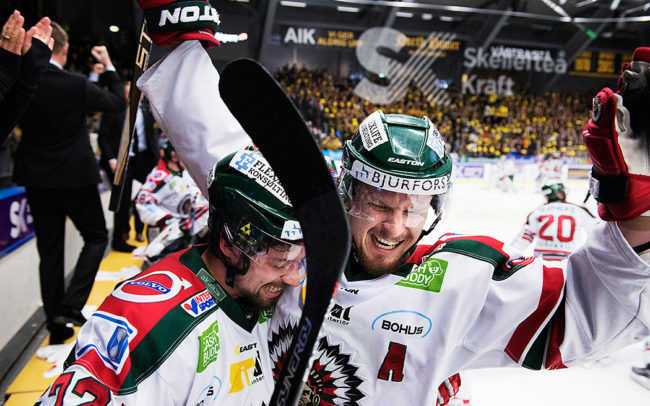 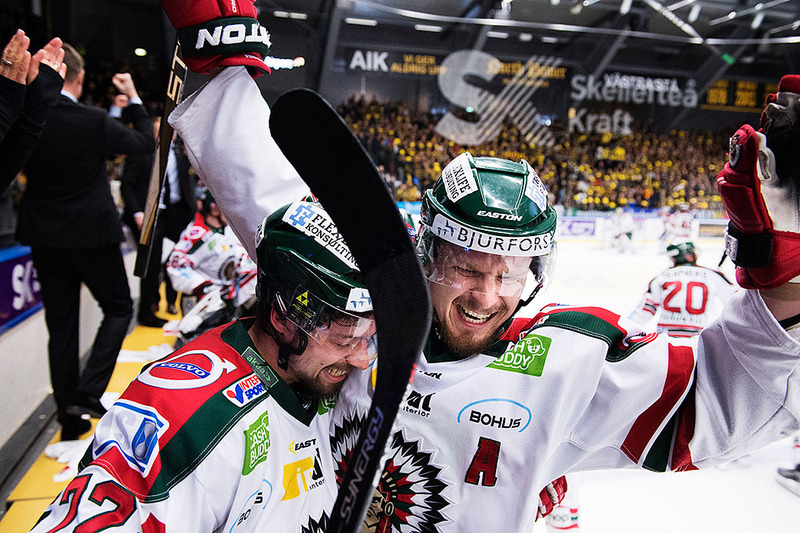 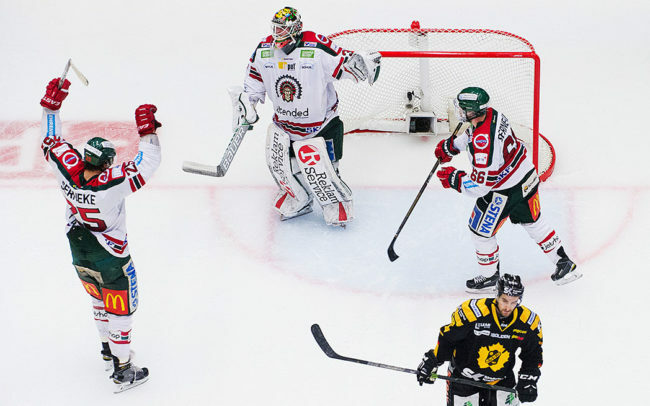 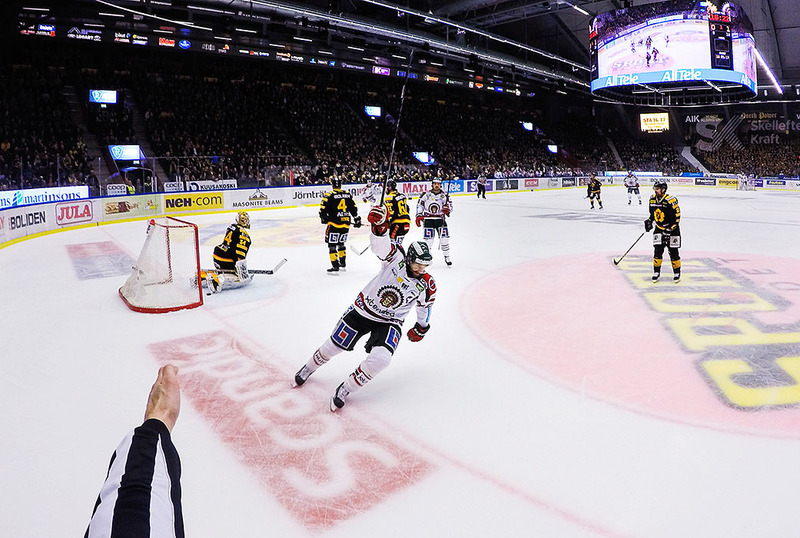 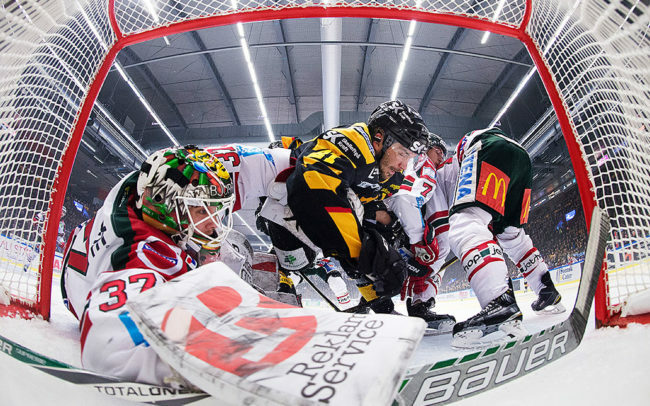 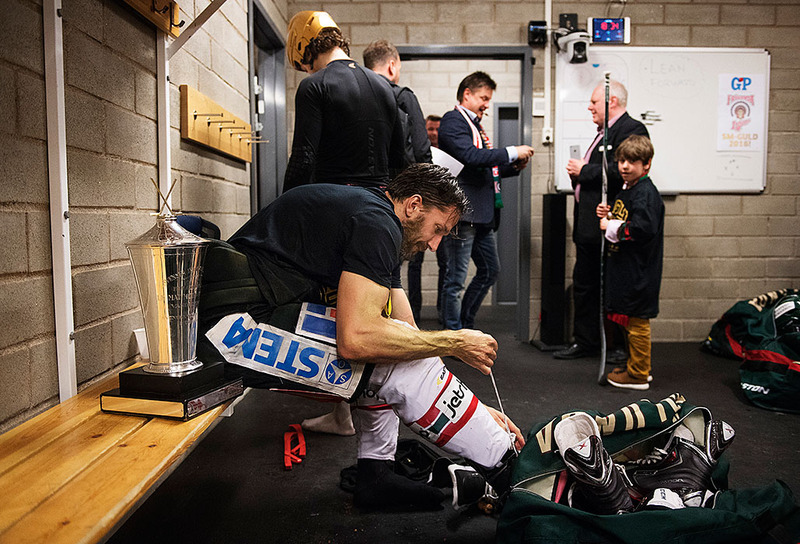 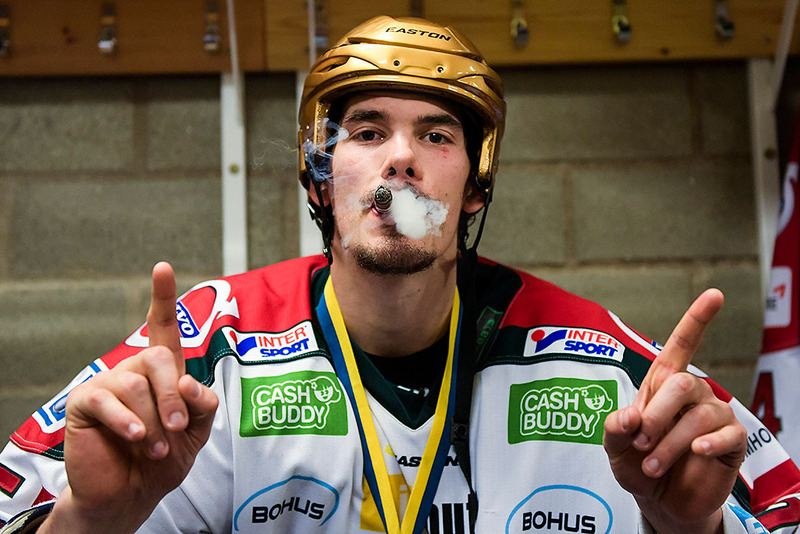 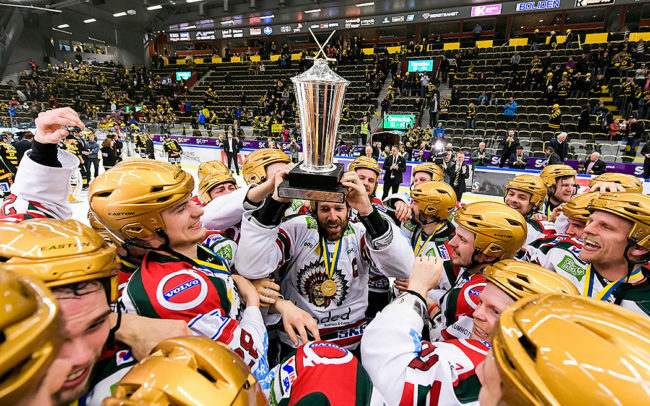 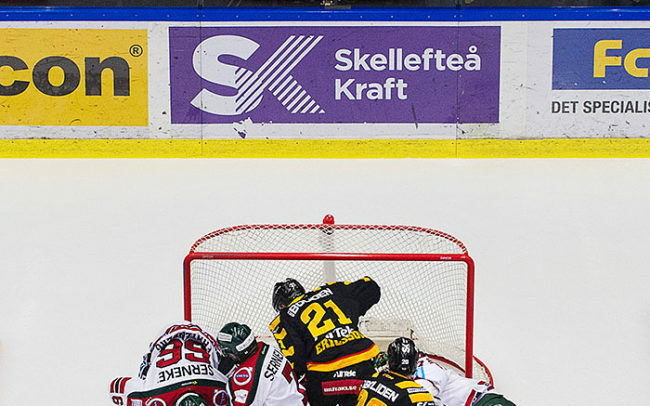 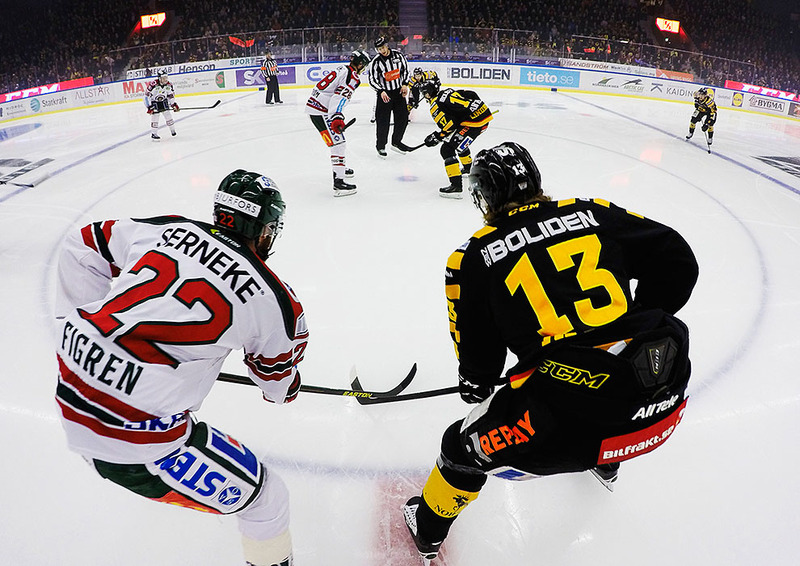 Two classic teams, Skellefteå and Frölunda, would fight about the title as Swedish Champions. 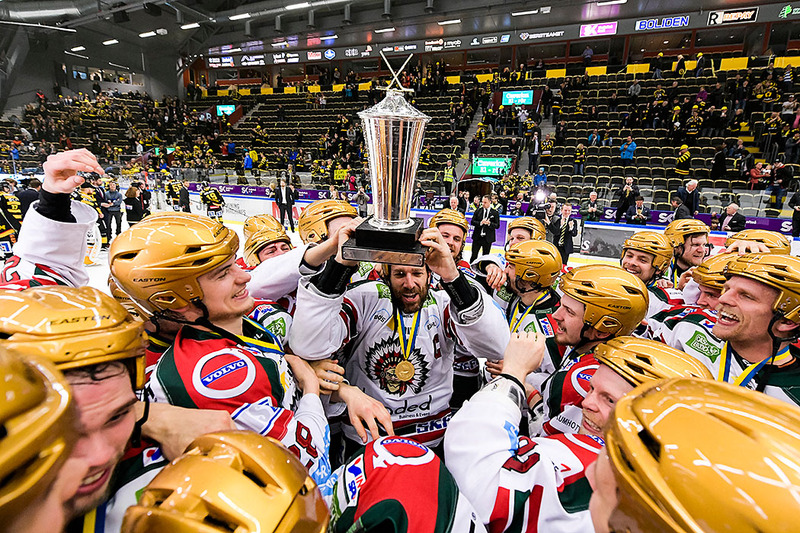 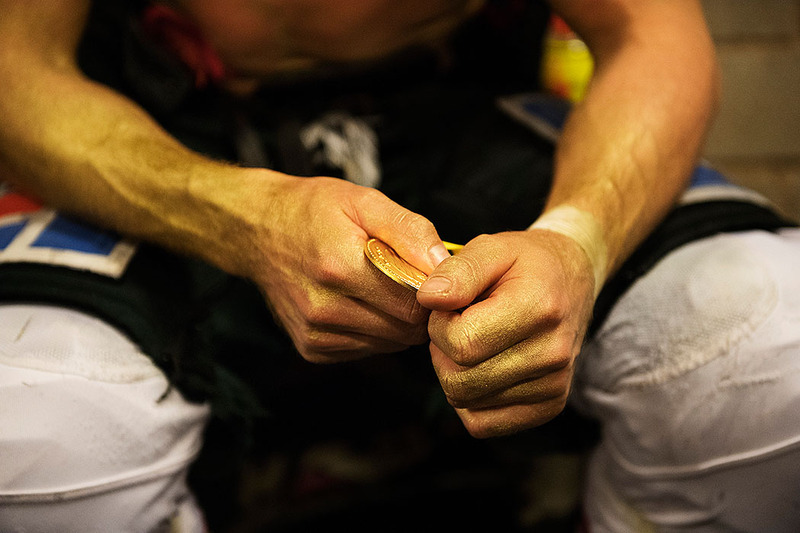 Together with Bildbyrån’s freelance photographer Ola Westerberg I covered three finals in Skellefteå in the north of Sweden. 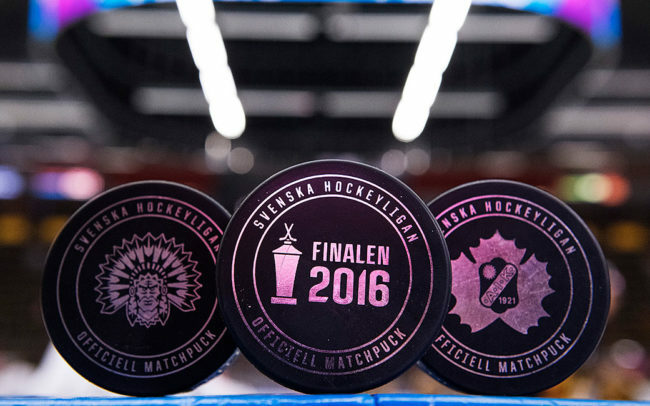 Due to geographical reasons two of the other finals were covered by my colleagues in Gothenburg, Carl Sandin and Michael Erichsen. 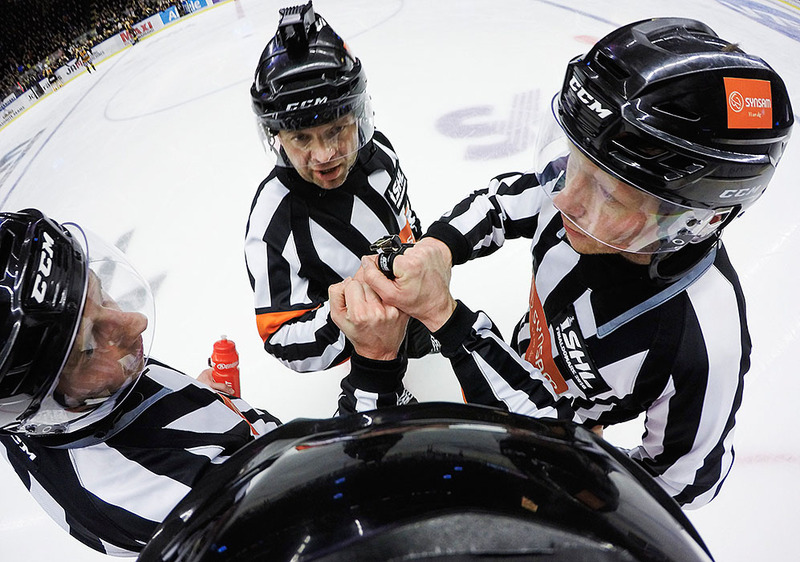 The usual camera setup has been netcams in each net, two overhead remote cameras and in one game a ref-cam (placed on top of a referees head). 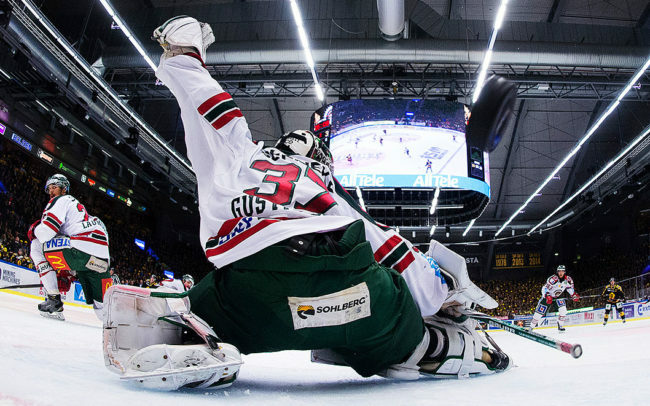 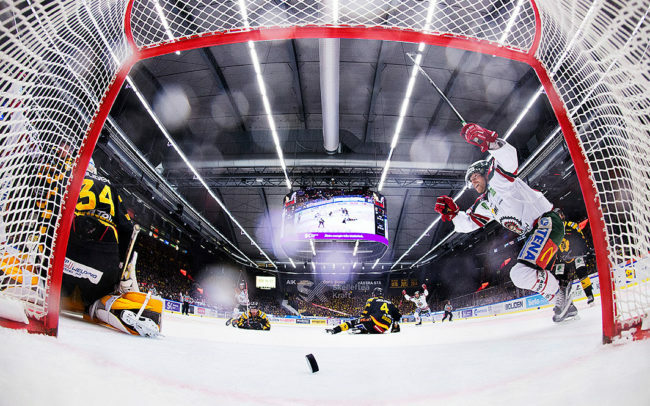 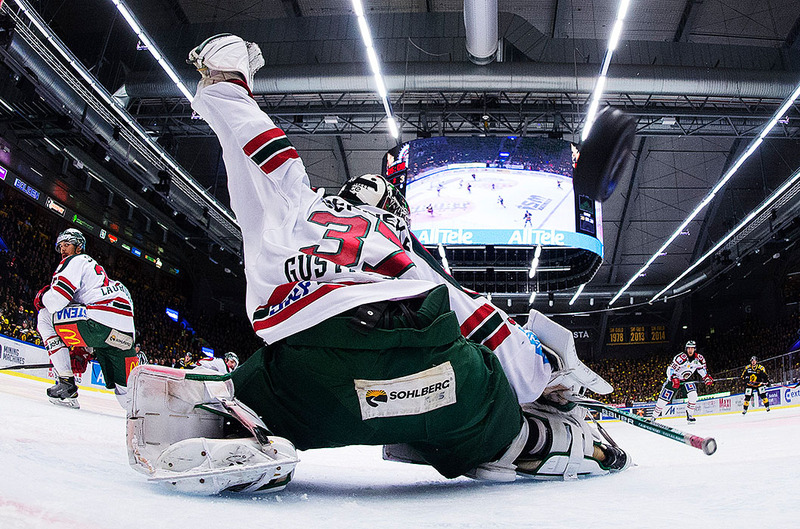 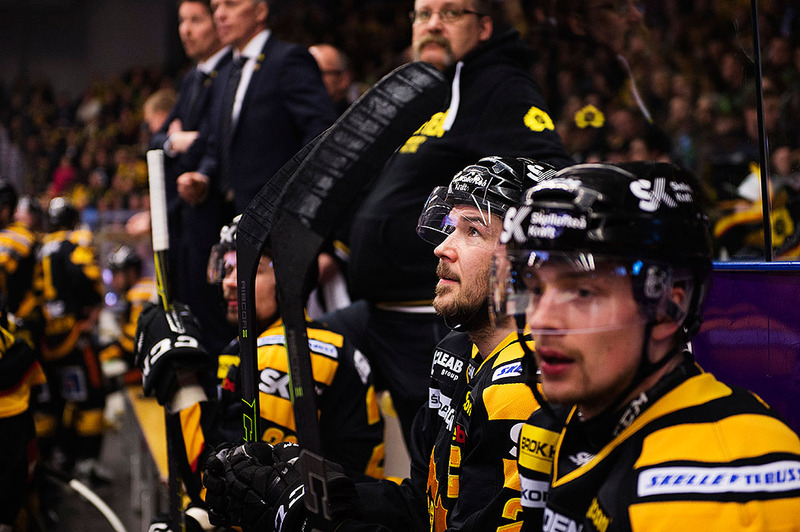 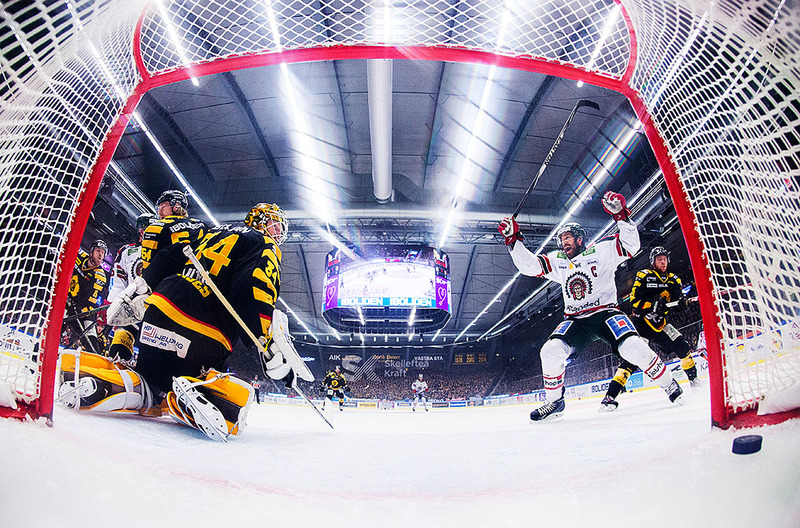 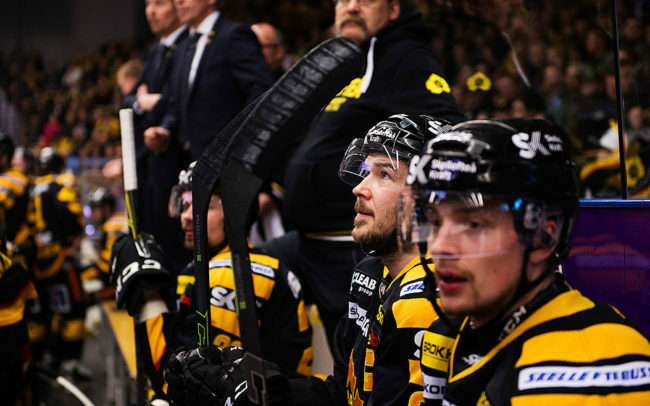 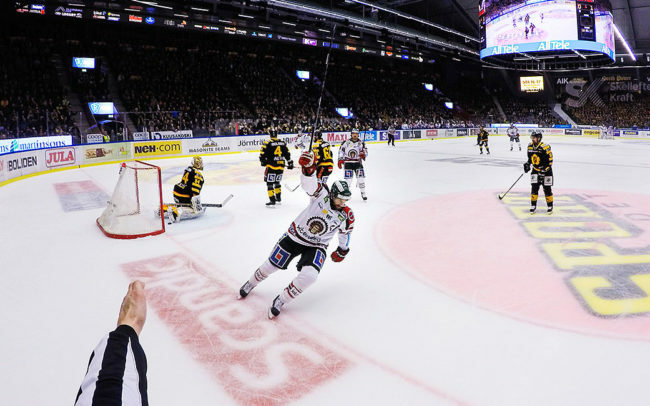 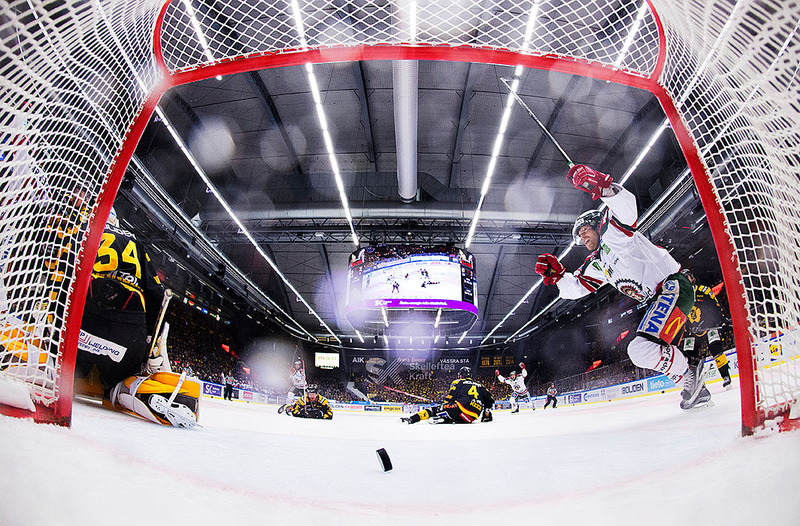 For game five in Skellefteå, the one where the series was concluded, an additional remote camera was placed on an elevated level picturing the whole arena. 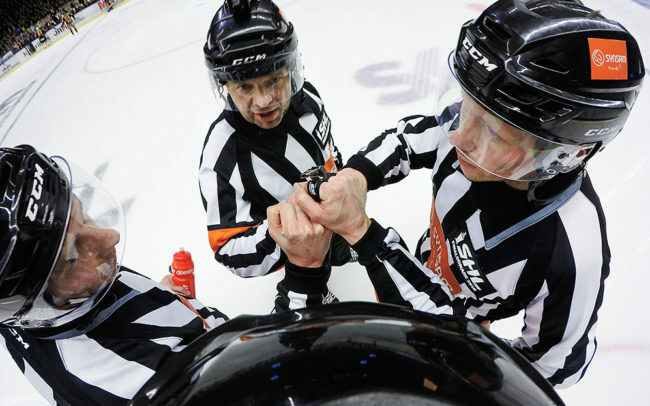 During this last game I alone controlled four remote cameras and three in my hands. 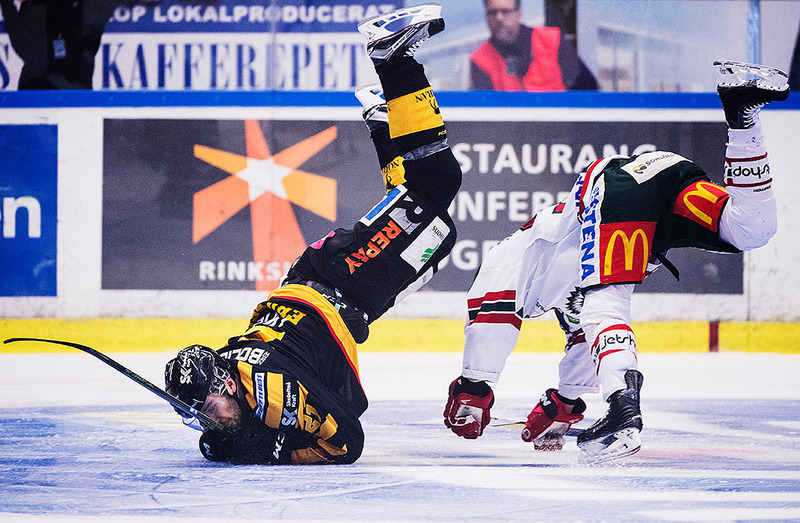 That’s like playing piano blindfolded – extremely difficult. 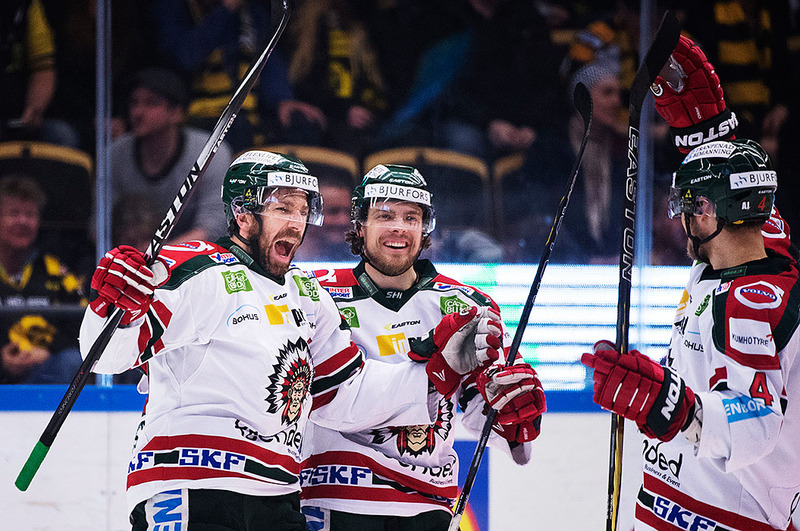 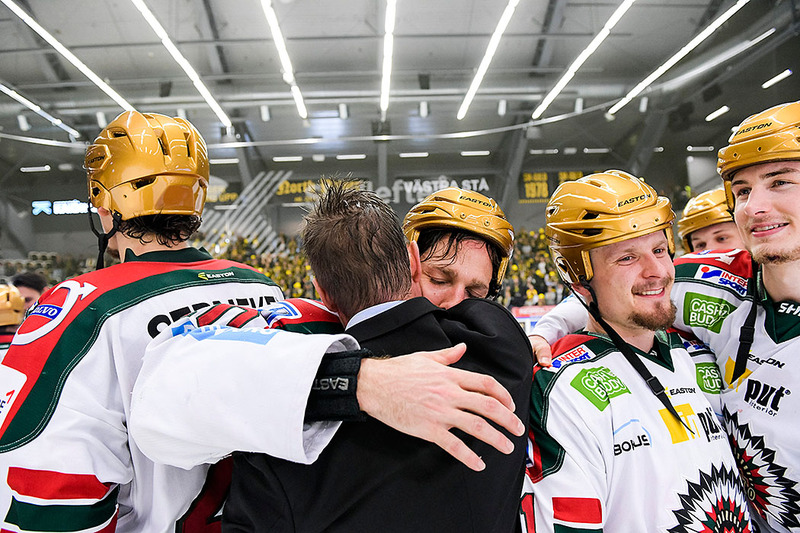 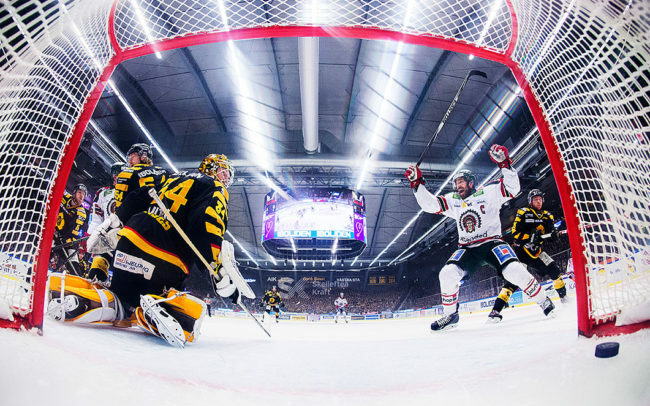 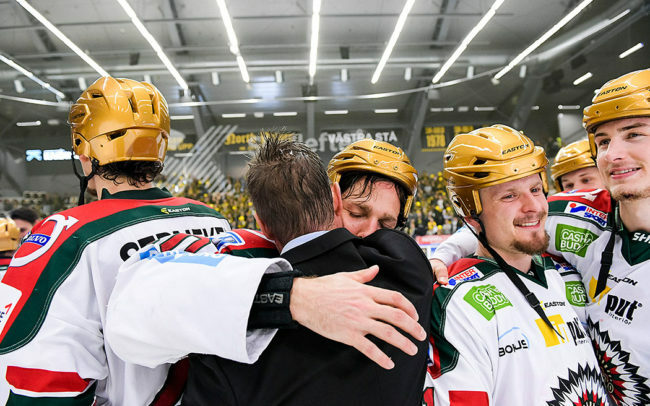 The season ended with Frölunda winning the series, 4-1 in games. 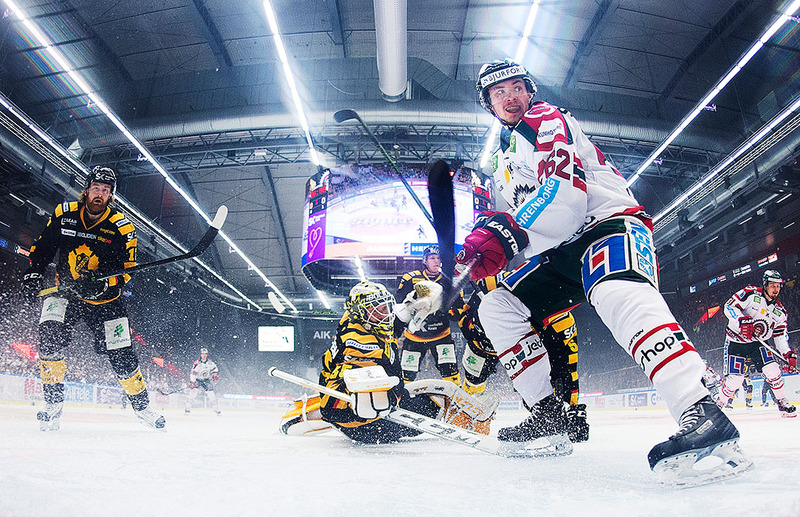 This is how it looked through my cameras.